Surveying is the branch of civil engineering which deals with measurement of relative positions of an object on earth’s surface by measuring the horizontal distances, elevations, directions, and angles. Surveying is typically used to locate and measure property lines; to lay out buildings, bridges, channels, highways, sewers, and pipelines for construction; to locate stations for launching and tracking satellites; and to obtain topographic information for mapping and charting. It is generally classified into two categories: Plane surveying (for smaller areas) and Geodetic surveying (for very large areas). Talking about the past, initially the geometrical and legal description of local lands and county seats, gained importance throughout the early modern period as legal and economic arguments came to rely on accurate descriptions and, increasingly, on measurement and "plotting." By the late seventeenth century, surveying included the mapping of larger political or geographical units. By the eighteenth, military leaders and colonial governors, as well as landed individuals, employed surveyors and cartographers. Techniques and instruments developed throughout the period produced a coherent body of theory and practice used for imperial mapping in the late eighteenth and nineteenth centuries. To prepare the topographical map which shows hills, rivers, forests, valleys, etc. To prepare the engineering map showing engineering details like higways, railways, canals, dams, reservoirs, etc. To prepare the contour map to determine the best possible route and amount of earthwork required. To prepare the geographical and political map. To prepare archeological map showing the places where ancient relics may have lied. To prepare cadastrial map showing boundries of properties like houses, buildings, fields, colonies, etc. To prepare a military map showing different strategic points important for the defence of a country. The most commonly used instruments in surveying are a tape or chain for determining shorter distances, a level to determine height or elevation differences, and a theodolite, set on a tripod, to measure angles (horizontal and vertical), combined with the process of triangulation. Starting from a position with known location and elevation, the distance and angles to the unknown point are measured. The Romans are said to have used the plane table, which consists of a drawing board mounted on a tripod or other support and a straightedge along which lines are drawn. It was the first device capable of recording or establishing angles. The primary tool used by surveyors in North America from the 1600s through the end of the 1800s was a "Gunter's chain," measuring 66 feet long, usually with 100 swiveled links. A retractable steel tape to replace the chain was patented in 1860 by W. H. Paine of Sheboygan, Wisconsin. The U.S. Geological Survey was formed in 1879 and began mapping in the 1880s, relying on the chain-and-compass method of surveying. By the early 1900s, surveyors were working with plane tables equipped with telescopic alidades with vertical-angle arcs, allowing lines of survey to be plotted directly from the field. Leveling instruments have been used since 1896 to set permanent elevation benchmarks. In surveying, measurements may be made directly, electronically, by the use of optical instruments, by computations from known lines and angles, or by combination methods. Instruments used for direct linear measurements include the Gunter's chain (known also as the surveyor's chain), which is 66 ft (20 m) long and divided into 100 links; the engineer's chain, 100 ft (30 m) long and also consisting of 100 links; the tape, usually of steel, which has largely superseded chains; and the rod. Tapes and rods made of Invar metal (an alloy of steel and nickel) are used for very precise work because of their low coefficient of thermal expansion. In many situations electronic instruments, such as the geodimeter, which uses light waves, and the tellurometer, which uses microwaves, provide a more convenient and more accurate means of determining distance than do tapes and rods. The height of points in relation to a datum line (usually mean sea level) is measured with a leveling instrument consisting of a telescope fitted with a spirit level and usually mounted on a tripod. It is used in conjunction with a leveling rod placed at the point to be measured and sighted through the telescope. A more modern instrument is a total station, which is a theodolite with an electronic distance measurement device (EDM). 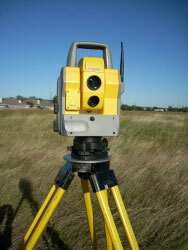 A total station can also be used for leveling when set to the horizontal plane. Since their introduction, total stations have made the technological shift from being optical-mechanical devices to being fully electronic. Modern top-of-the-line total stations no longer require a reflector or prism (used to return the light pulses used for distancing) to return distance measurements, are fully robotic, and can even e-mail point data to the office computer and connect to satellite positioning systems, such as a Global Positioning System. Though real-time kinematic GPS systems have increased the speed of surveying, they are still horizontally accurate to only about 20 mm and vertically accurate to about 30–40 mm. One of the most important things that a surveyor does is to determine the property boundaries. While this may or may not be a big deal as far as buildings are concerned, but if the project is something such as a road, it can significantly alter the desired route. Land surveyors will often note elevation changes and other physical features that could be important as a project progresses. This can add a considerable amount of time to the work involved, but it can be invaluable to those who need to depend on those measurements when making their designs. Surveyors also transfers the designs from the paper to the actual field. 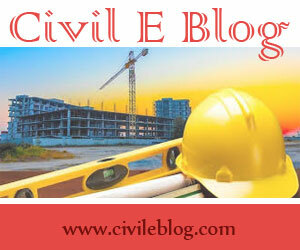 Surveys may be performed to determine the suitability of a site for given project. Once the surveying is complete, a report is made detailing the findings and sent to the interested parties. In some cases, land surveyors may be asked to explain their findings. In particularly contentious situations, such as a legal dispute involving land, they may even be called on to testify in court. However, such situations are extremely rare. According to the U.S. Bureau of Labor Statistics (BLS), it was once possible to launch a career in land surveying with minimal education, but that's no longer the case. Due to the increasingly technical nature of the profession, most employers require you to hold a bachelor's degree in surveying, mapping or geomatics. Such degree programs usually include courses such as calculus, geographic information systems (GIS) and cartography. Some states require surveyors to complete a degree program that's approved by the Accreditation Board for Engineering and Technology (ABET). But still in most of the place in the world, person with diploma level education may get into this profession. In USA, the average entry level salary (0-2 yrs experience) for Surveyor is $40,300. The responsibilties may be to survey and investigate land surfaces to project precise measurement and location of lines, angles, points, areas, and elevations; perform project research, boundary calculations, and record accuracy of survey data, notes, and sketches. With 2-4yrs of experience in this field, the expected average salary is $46,400. He/She may relies on experience and judgment to plan and accomplish goals. For experience of 4-5yrs, the average salary is $55,100. The employee may have to lead and direct the work of others. A wide degree of creativity and latitude is expected. With eperience of 5-7yrs and bachelor's degree in this field one may get the position of Surveyors Manager whose average salary is $87,000.